From January 9 2019, Australian Regulation will prevent bookmakers such as Lottoland from betting on the outcome of International Lotteries. Here’s what you need to know. Q. Which Lotteries will be impacted? A. All products which were resulted using international lotteries will be impacted, this includes Keno. Q. Why has the Australian Government banned the bets on International lotteries? A. Although we can’t speak on behalf of the Australian Government we believe they felt it was in their best interest to ban betting on International lotteries. Although disappointed, we accept this decision and will work cooperatively with them. Q. Is Lottoland banned in Australia? A. No. Changes only affect betting on International Lotteries. 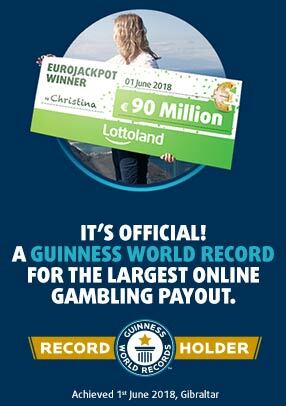 You can still bet on all the Jackpots that Lottoland offer. Q. How are Lottoland Jackpots different? A. When you place a bet on one of Lottolands Jackpots you are betting on the outcome of Financial Markets. Some of these products have been live since December and we’ve already paid out winnings to our customers. To find out more visit: What is Jackpot Betting? Q. I have a pending bet on EuroMillions, what will you do with my bet? A. Bets placed before January 9th for an event after this date will be cancelled and refunded to the account. You will receive an email notifying you of this change. Q. I bought a 52 week subscription on an EuroMillions, what will you do with my subs? A. Subscription bets and Syndicate subscriptions placed before January 9th for events after this date will be cancelled and refunded to the account. You will receive an email notifying you of this change. Q. I bought a bet which activates when the jackpot reaches a certain amount, will this stay active? A. Participation from bets will be voided and refunded. Q. What’s next for Lottoland? A. Lottoland is here to stay, you will always be able to bet small for a chance to win huge life-changing sums of money, such as Lottoland's huge US Power and US Millions Jackpots. We will also continue to launch new products throughout 2019 to continue to give our customers more choice and innovation.